Recently, Islamic terrorists released a graphic first-person video depicting the deaths of US service members during an October 4, 2017 ambush in Niger. Western news outlets have now started distributing the video widely to the public, driving valuable web traffic for themselves at the expense of the dignity of the fallen and their families. On October 4th, 2017, four soldiers serving in the West African country of Niger were killed while conducting operations with their Nigerian counterparts near the village of Tongo Tongo. The soldiers, members of 3rd Special Forces Group (Airborne), were conducting a joint reconnaissance patrol near the Mali border when they were ambushed by a heavily-armed group of Islamic terrorists. During the firefight, multiple Nigerian soldiers were killed and wounded, in addition to the four Americans killed in action. At least two other US service members were also wounded during the engagement. SSG Bryan C. Black. SSG Dustin M. Wright. SSG Jeremiah W. Johnson. SGT La David T. Johnson. Those are their names. Say their names out loud. The terror group involved in the attack recovered a helmet camera from one of the casualties. The usual propaganda outlets have begun distributing the footage online. The footage is extremely graphic and shows the death of one service member during the gunfight and ends with the first-person perspective of the death of the soldier wearing the helmet camera. The final minutes of the video show his body being repeatedly raked with automatic weapons fire. It goes without saying that the footage is extremely hard to watch. Yet, an online news source that features articles from special operations veterans has decided that the video should be widely circulated among the general public. Understandably, the outrage was almost immediate to this reprehensible and reckless decision. I’m not going to link to the video, as I refuse to participate in the exploitation of the death of my fellow Green Berets and Special Forces support personnel. I also refuse to be silent as the families of the fallen are exploited by those who only seek to drive brand awareness and garner web traffic. And this isn’t a 1st Amendment or free speech issue. The question isn’t if SOFREP could publish the video, but rather if they should have published the graphic footage of the deaths of our men in uniform. It isn’t hard to find jihadist videos online or death-filled videos on Reddit. However, a website founded by Special Operations veterans treating the deaths of their brothers like clickbait is something I simply cannot comprehend. 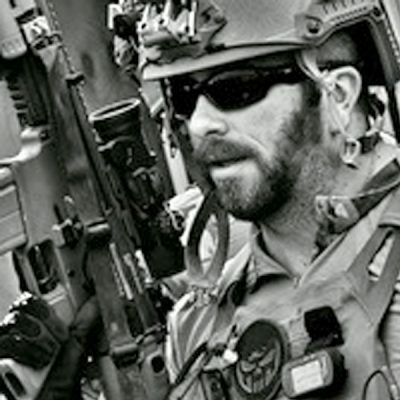 In an unapologetic defense of publishing the video, the editor-in-chief of SOFREP, Jack Murphy, continued to insist that the feelings of the families, friends, and teammates in the video were less important than reporting the truth, “even if it hurts.” Odd how the New York Times was able to write an in-depth account of what happened without having to resort to publishing a snuff film. Jack says, “You can’t demand facts and simultaneously be protected from them.” Yet, nothing is added to the story that the New York Times told, other than pain and anguish for those who actually cared about those men who gave their lives that day. Nobody is questioning whether or not we deserve the truth. Jack would pretend that by removing the audio from the jihadist propaganda video, SOFREP is somehow removing the element of propaganda from it. However, they replaced the soundtrack with a giant SOFREP watermark/logo on the video. The simple fact is that Jack Murphy and crew repurposed terrorist propaganda into branded content for their website. When SOFREP says that they wanted to take the narrative away from the terrorists, they also want to make sure you know who is bringing you the footage…and you can subscribe for just $9.99 a month. “Because the video shows the deaths of the service members and also includes packaged Islamic State propaganda footage, Times editors decided not to publish the video itself.” – The New York Times commenting on why they didn’t release the video two weeks ago. The realities of the human costs of warfare have been with the American public since Mathew Brady’s photographs of “The Dead of Antietam.” However, there was nothing that SOFREP accomplished by sharing this horrific video, other than reopening wounds of those left behind. Now parents, spouses, and children of these men live in a world where they can watch through the eyes of their son, husband, and father exactly how he died. To pretend that sharing this video somehow shows the the reality of the cost of war is an argument based on moral cowardice and intellectual dishonesty. Good journalism doesn’t rely on graphic exploitation of the victims of a story. Would it be an example of “journalistic integrity” to share a graphic video of a woman being brutally raped, based on the argument that the American public doesn’t fully comprehend the awfulness of sexual assault? No matter how hard they argue that sharing this first-person perspective of an American soldier being murdered in high-definition is the same as battlefield photographs or video of previous wars is a total fallacy. The childish defense from Jack Murphy that “we weren’t the first outlet to publish the video” is the justification of a man who knows he was wrong, but doesn’t have the intestinal fortitude to fully accept responsibility for his actions. A sacred trust has been betrayed by the men who should be looking out for those left behind. I hope it was worth it, Jack. You have sold your honor for a few extra clicks.